Did You Hear About Andy Rooney? He's Retiring : The Two-Way After more than 60 years with CBS and 33 as a regular commentator on 60 Minutes, the whimsical essayist will offer his 1,097th and final commentary this Sunday. 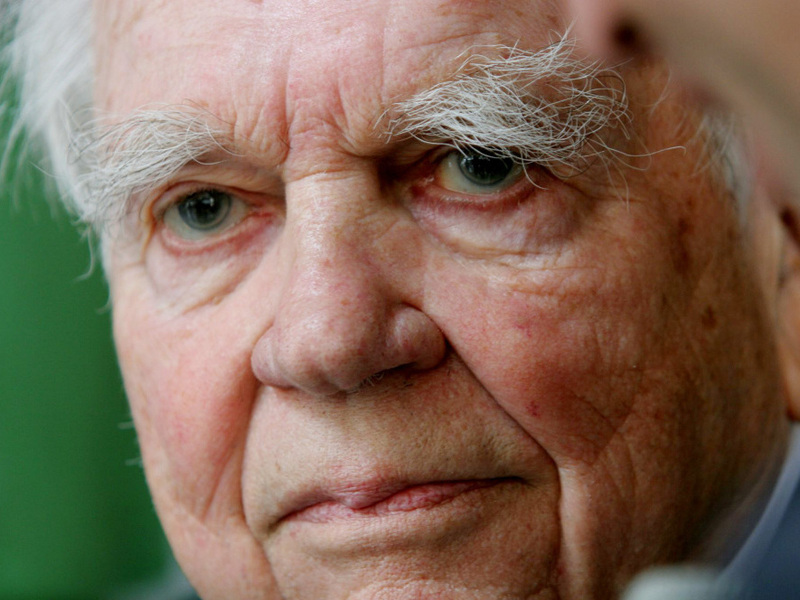 What is it about Andy Rooney that's kept him on the air with CBS for more than 60 years — the last 33 of them as a regular essayist on 60 Minutes? Is it his sense of humor? The questions he's always asking? "Will make the announcement in his regular essay at the end of the program, his 1097th original essay for 60 Minutes. It will be preceded by a segment in which Rooney looks back on his career in an interview with Morley Safer." NPR's David Folkenflik notes that as a Stars and Stripes correspondent, Rooney flew with bombers over Germany during World War II. But over the years, David adds, he became best known "for those sometimes whimsical, sometimes irritating humorous commentaries" on 60 Minutes.